Boston Police Department drawings depict suspects in North End assaults in 2010 and 2011. She remembers his hands going around her neck. Then darkness. The memory terrifies her, but what frightens her more lately is that women are still being attacked in the North End. This restaurant worker, now 29, is one of at least 10 women who have been attacked by a stranger in the North End during the past five years in a series of assaults, gropings, and sexual assaults that many believe are being done by the same man. “I was new to the North End area last year, and I didn’t know that this was clearly an ongoing issue,’’ she said in a recent interview. The woman spoke on condition of anonymity because she was concerned for her safety. On Aug. 21, 2010, the woman said, she was standing on her Salem Street porch at about 3 a.m., smoking a cigarette after work, leaving her friends upstairs. The man walked up and asked for a light, which she gave him. He started talking to her. When she finished her cigarette, she turned to go back into the apartment building, but he followed her inside the vestibule and choked her until she blacked out briefly. “I came to and I heard the front door click and sort of woke up, and that’s when I started screaming,’’ she said. As her friends in the apartment upstairs heard her scream, the man ran. Two other women were approached in similar ways that weekend, police said. And this year, it happened again, on the same August weekend. On Aug. 20 at 2:30 a.m., another woman was standing two blocks away from that Salem Street porch, at the corner of Garden Court and Fleet Street, when a similar-looking man approached and started talking to her. He asked if he could come inside her apartment. When she refused, he grabbed her in the chest and then ran away. The assaults fit a pattern. On Aug. 6, 2006, a woman was groped at the corner of Charter and Unity streets; the same thing happened to another woman on July 13, 2007 at the corner at Charter and Henchman streets; in January and in June 2008, two women were sexually assaulted on Charter Street ; and two other women were groped in July and August of that year on Foster and Irving streets , all according to Boston police records. The woman who spoke to the Globe about her attack last year said, as did other people interviewed, that she believes the same man is behind at least some of the assaults in this historic Boston neighborhood. On the days before and after the 10th woman reported her assault, two other women said they were approached on North End streets by a similar-looking man, according to Boston police. In the first incident, the man ran away when a friend of the woman appeared; in the second incident, the woman ran when the man approached. Police said last year that they believed the same man may have been responsible for those three incidents, but they have stopped short of saying the same one is behind the five years of assaults. Some variations, Driscoll said, make it hard to point to a single suspect. On Nov. 1,a Salem Street woman was groped as she walked into her apartment, police said, by a man with a similar description, but it happened during daytime, at 4:30 p.m., police said. In all of the cases, including last weekend’s assault, the suspect was described as a white or white-skinned Hispanic, but heights and weights reported by victims have varied. The suspect has been described as 5-foot-5 to 5-foot-10, with a slim to stocky build. Driscoll said that the length of time that passed between incidents also makes it harder to pin the crimes on one suspect. “It makes it really complicated because typically there’s anywhere from six months to a year,’’ Driscoll said. The modus operandi has not varied significantly, however. In nearly every instance, the suspect approached a woman who was standing outside alone, late at night or early in the morning, and the suspect often startled easily and ran. Boston police released surveillance video Thursday from the area of Hanover and Prince streets that they said shows the suspect wanted for the Aug. 20 attack. He is described as 5 foot 6, slim, about 150 pounds, with gelled black hair. Police patrols have been increased in the North End since that assault. “We’re very focused on these areas,’’ Driscoll said. The woman who spoke to the Globe said the timing and the familiar manner of last weekend‘s assault made her want to come forward and tell her story. City Councilor Salvatore LaMattina, who represents the North End, said in an interview Thursday that he believes one man could be behind the attacks. Sexual assault has been a stain on the North End’s reputation for at least the past decade. During a three-month period in 2002, four women were sexually assaulted, and a fifth was raped. 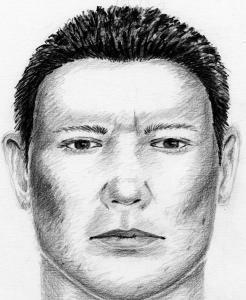 A 30-year-old woman was sexually assaulted in 2003 as she was entering her home near Paul Revere Park. Residents of the North End, more well-known for its Italian culture and religious festivals than crime, say the neighborhood has changed during the past few decades. “It’s a 180-degree turnaround. It’s a totally different neighborhood now,’’ said resident Warren Mustacchio, 47, a member of the Benefit Society of Saint Agrippina Di Mineo of Boston, which organizes a three-day event every August. “Back then, you knew everyone who lived on the street. Now you’re lucky if you know a couple of people,’’ Mustacchio said. Still, he said, the North End remains one of Boston’s safest neighborhoods. LaMattina sponsors periodic self-defense classes for women, and is planning to hold some next month. The classes include tips such as walking in pairs at night. “As a dad - I have a 19-year-old daughter who does go to BU - I always tell her to be aware when you’re walking home from work late at night,’’ he said. LaMattina also called for an additional Boston police bicycle unit to patrol the neighborhood. The woman who spoke to the Globe said life has gone on, but the ordeal is always in the back of her mind. “It was really hard at first. It gets better day by day, but it’s different,’’ she said. “I’m just much more aware and a little less trusting.